The Folklore Gourmet Syrups were created with the quality of European tradition, and also have been awarded as a top brand by baristas and barkeepers. Folklore offers over 60 coffee syrup flavors, 20 sugar free, for all your gourmet coffees, espressos, Italian sodas, smoothies, cocktails, ice creams, desserts, and more! We also offer granita concentrate with over 20 flavors. We hand-craft each bottle in 750 ml PET bottles, saving on extra shipping costs. Customers appreciate the light weight and virtually unbreakable bottle.Please check our distributor listing to order. 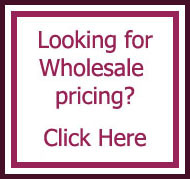 Persons interested in wholesale or distributorships, please contact us directly.